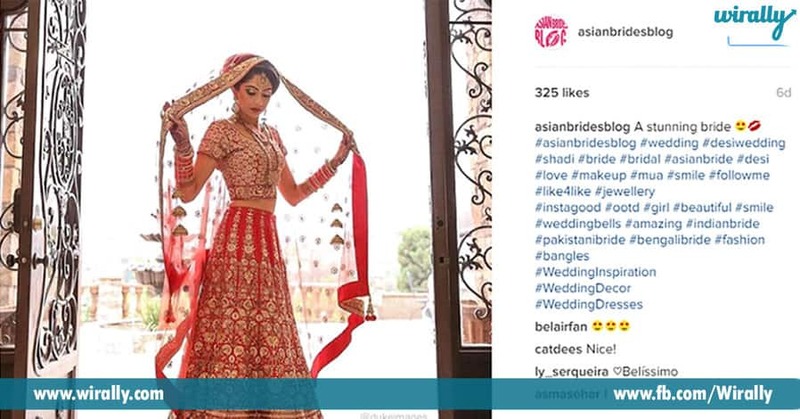 1 – @asianbridesblog From makeup, jewelry to stunning outfits, this Bridal beauty, and fashion blog will give fantastic hacks about styling, skin care and how to look dazzling on your special day. 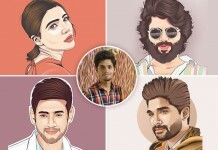 2 – @Indianweddingbuzz This account features real weddings, décor inspiration, wedding photography, and outfit ideas, all in the form of breath-taking photos. 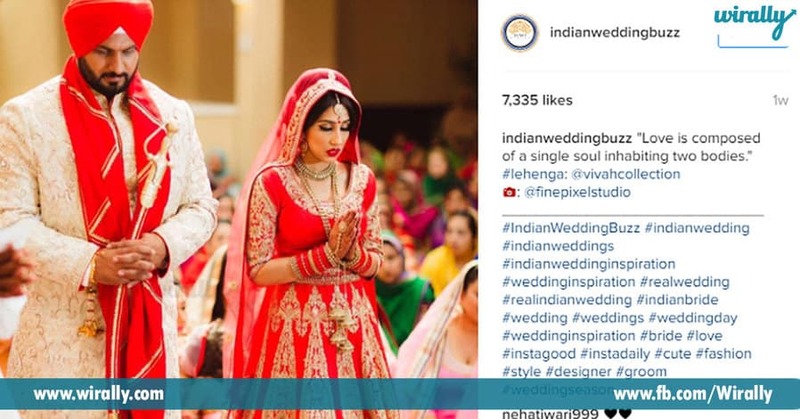 So, when you start following them, you will get fantastic ideas of how your wedding decorations and photographs should be. 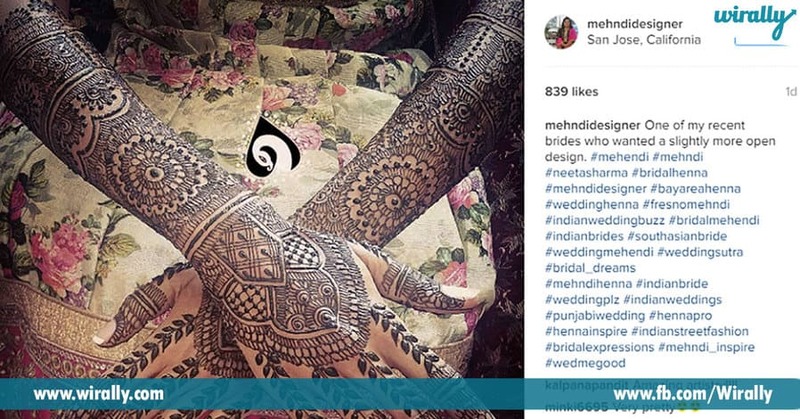 3 – @mehndidesigner Called as one of the best Instagram profile, Neeta Sharma presents you gorgeous mehndi designs and will make you a fan of her henna art. 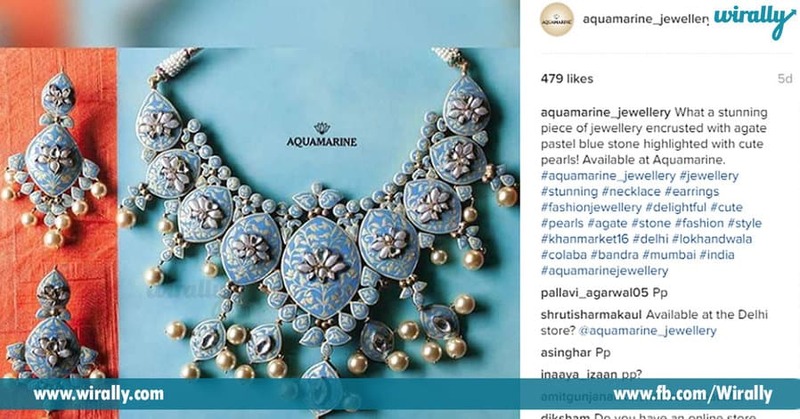 Browse through her account and be mesmerized by the intricate designs. 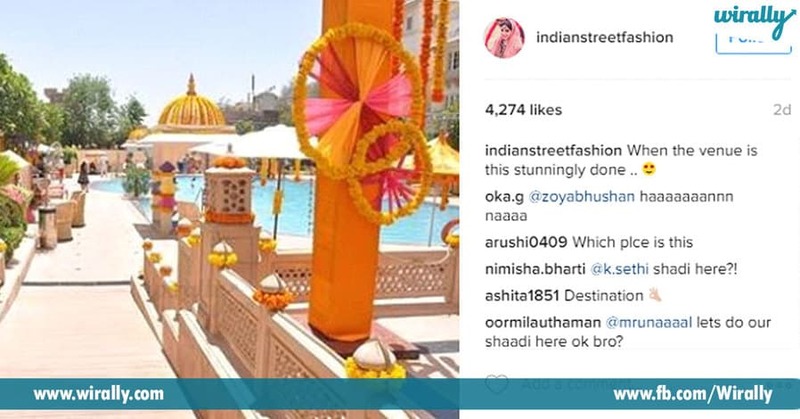 4 – @indianstreetfashion Are you one among them, who wants to look stylish in your traditional outfit with a modern twist? Then, here is the perfect match for you. 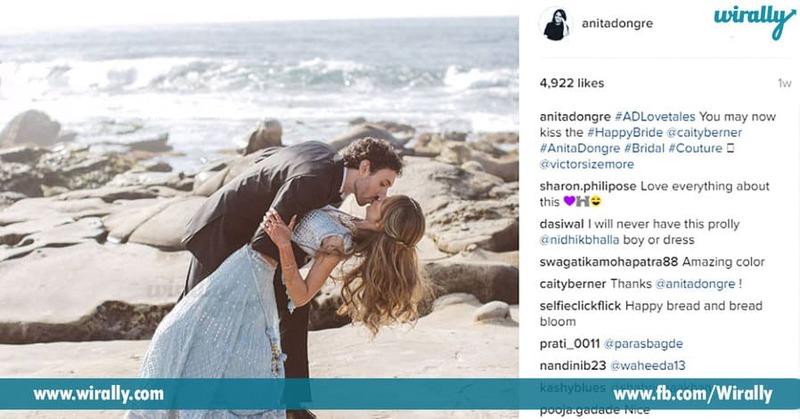 This blog features the latest fashion trends and keeps you updated to appear as a Modern Bride. 5 – @anitadongre This celebrity designer Anita Dongre will make you fall in love with her wicked incorporation of Rajasthani elements to contemporary fashion in her unique designs. 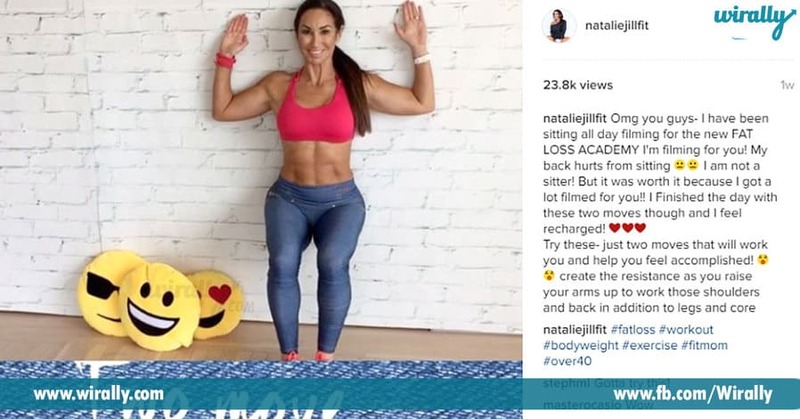 6 – @nataliejillfit Fitness expert Natalie Jill will seriously give you some fitness goals and motivates you to get in shape before your big day. The most interesting part is her blog aims at achieving quick toning with minimum efforts and nutrition tips. 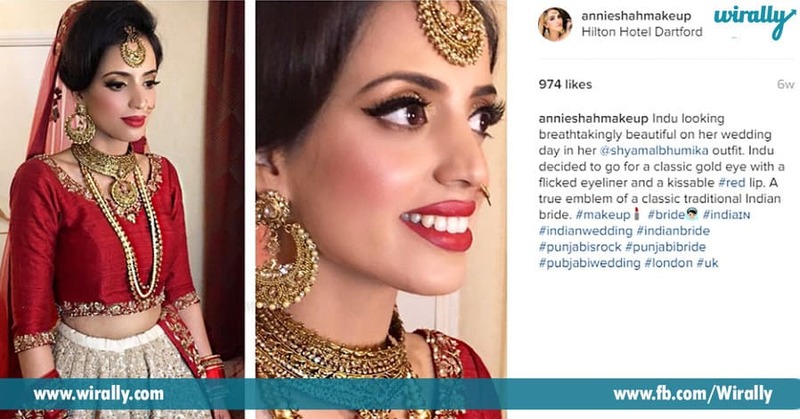 7 – @annieshahmakeup Are you looking for an amazing makeup inspiration? This London-based makeup artist Annie shares her makeup art in a classy way, and you can turn yourself gorgeous at your place without spending any bucks. 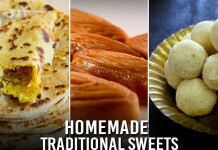 Masala Tea – When, Where And How It Started ?